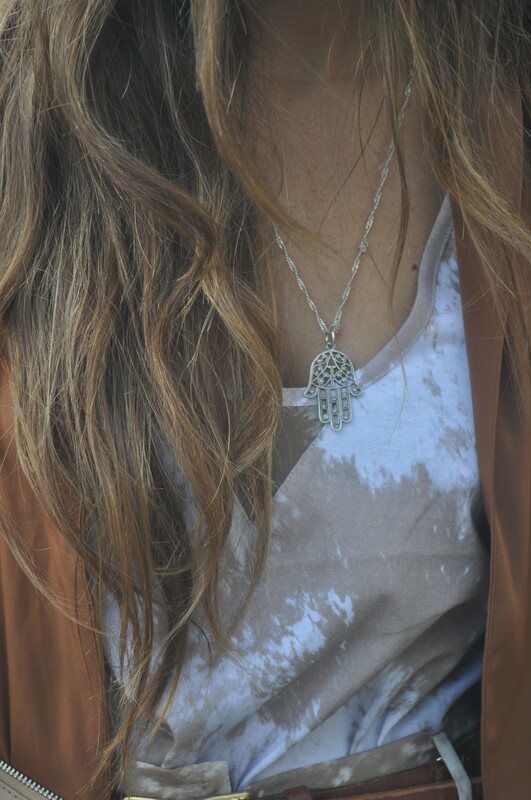 Beautiful Hand of Fatima necklace. I love how she mixed two different material pieces from the Antipodium A/W11 collection. A cotton tide print top and a light chiffon tide print maxi skirt.